Events in Somerset during the wonderful month of August so what shall we do? Go to the Taunton Flower Show for instance or what about the Mid Somerset Show, both are always popular. The Balloon Fiesta in Bristol is Free! That would intrigue the youngsters! If you are feeling active there are several cycle events in the county this month. Taunton Flower Show 2nd and 3rd August 2019. Vivary Park, Taunton. The Best in the West, a traditional Flower Show - plus so much more. Beautiful. A day out for all the family. Outcider Festival August 2nd to August 4th 2019. Fernhill Farm, Compton Martin. Exmoor Explorer 4th August 2019. Not a race, but a non-competitive, sell-out cross-country event, offering 500 riders multiple distance options. The Bristol International Balloon Fiesta Ashton Court Estate. 8th to 11th August 2019. 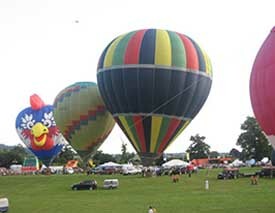 This event is Europe's biggest Hot Air Balloon event, as well as one of the UK's top five outdoor events. Half a million visitors arrive for the show's four days - and its absolutely FREE to attend. Allow time for a lot of traffic in the area. Dunster Country Fair 16th August 2019. Dunster Castle. There are dog shows, equestrian events and so much more at this one of Somerset's premier country fairs. Exmouth Exodus VII A night cycle ride from Bath to Exmouth. 17th and 18th August 2019. Free to enter. About 100 miles. Mid Somerset Show on Sunday 18th August 2019. Shepton Mallet. Thousands visit this show, the largest show in Europe with Free Admission! Axbridge Pageant 2010 was a huge success. The next one 29th August 2020! Only held every few years. 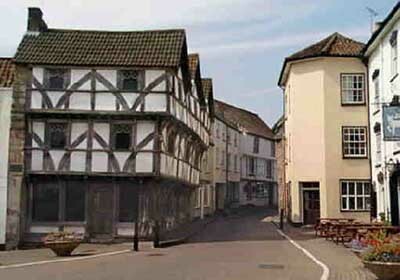 A huge historical re-enactment celebrating 2,000 years of this Somerset town’s rich past. Taunton is a most pleasing county town. 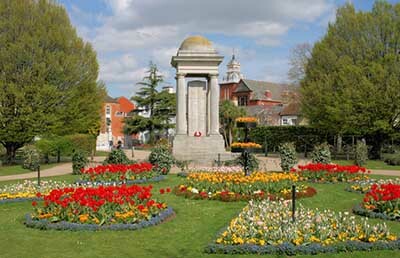 Taunton Flower Show is held in beautiful Vivary Park right in the town centre. Minehead, One end of the South West Coast Pathway that runs round the Cornish coast to Poole in Dorset. The Path has stunning views and can be done in bite size bits. Well worth it. The town is on the end of the West Somerset Railway. It is of course an entry to Exmoor National Park with all the delights that has to offer. Has a Butlins Holiday Camp. Bristol. One of the major cities of the south west. It is bustling, easily accessible and so a centre for many events. See Brunel's SS Great Britain in the Harbour. Visit the Zoo. It is a job to miss the Clifton Suspension Bridge, another of Brunel's masterpieces. Keynsham. It is situated between Bath and Bristol. Keynsham has its own orchestra. Chew Valley Lake is not far away. Keynsham Park is host to several good events. Shepton Mallet. Centre for visiting the Mendip Hills with their caves, areas of Scientific Interest and just lovely countryside. Charming villages and towns. Axbridge. It is a charming little medieval town. The incredible pageant is held every ten years. It must take all of those years to organise one like that!!! Prehistoric man lived in the local caves! The Saxons loved the area. No wonder. King John's Hunting Lodge has a museum. Makes for an interesting visit.